6 Key Commercial Lease Terms for Small Business Owners - Crooks, Low & Connell, S.C.
As a small business owner, entering into a lease for a retail storefront, commercial office, storage warehouse, or workshop can be an exciting time. Whether you are expanding out of your home or getting ready to reveal your business to the public, acquiring your own space represents a commitment to the business as well as the opportunity for growth. But, leasing a commercial space is also a commitment in itself. A commercial lease is a binding and typically long-term legal agreement that imposes significant obligations and creates the potential for substantial liability. It is very different from the residential leases with which you may be more familiar. As a prospective commercial tenant, you can – and should – negotiate the terms of your lease. And making an informed decision involves much more than just knowing how much you will pay annually per square foot. Whether you need a dedicated space for yourself and your office administrator or you need to ensure that your customers will always have a place to park, parking is an important and often overlooked aspect of any commercial lease. If you are leasing a stand-alone building with its own parking lot, this may be less of an issue. However, if you are leasing space in a retail center or commercial office building, it will be critical to make sure that your leasehold includes adequate parking. Landlords will often also seek to include administrative fees as part of their CAM charges that are not specifically tied to the costs of maintenance or repairs. As a commercial tenant, you want to ensure that you can remain in your lease for as long as you desire while also ensuring that you have reasonable opportunities to leave the space if it turns out not to be suited to your unique business needs. Your landlord, on the other hand, wants to make sure that it has the right to collect rent on an ongoing basis. With these competing interests in mind, negotiating the initial term and renewal provisions of your commercial lease will be of utmost importance. If you lock yourself in for too long, you could find yourself obligated to pay rent on a space you do not need and cannot afford. However, if you do not place enough emphasis on renewal rights during your initial negotiations, you may find yourself looking for a new space before you are ready. Limiting the landlord’s right to seek lost future profits due to an early termination. Most likely, the lease document you are provided will not provide you with any rights of termination. As a tenant, your only way out of the lease will be to wait until the initial term expires. But, what if your landlord stops maintaining the property? What if it allows a competing business to move in next door in violation of the “exclusive use” clause of your lease? 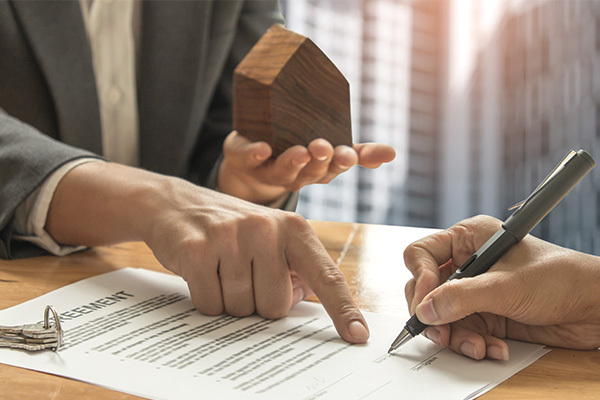 While most landlords will resist any attempt to negotiate tenant termination rights, these are important protections that it will be worthwhile for most tenants to pursue. Another way that commercial landlords protect themselves is by including broad indemnification and liability protections in their lease agreements. If your lease includes an indemnification clause (and it almost certainly does), this means that your landlord can come after you for payment if it is held liable in a third-party claim. While a certain, limited amount of indemnification protection is appropriate (e.g., if your landlord gets sued because a customer fell after you failed to clean up a spill on your premises), most indemnification clauses in commercial leases are heavily one-sided in favor of the landlord. For example, if you are not careful, you could potentially end up facing a claim based upon a condition that predates your occupancy of the premises. While often overlooked as legal “boilerplate,” the indemnification clause is in many ways one of the most important provisions in a commercial lease. From selection of jurisdiction and venue to apportionment of costs and legal fees, the dispute resolution provisions in your lease could dramatically impact the feasibility of pursuing a claim against your landlord. Will you be required to submit to mandatory mediation or arbitration (or both)? Will you be forced to share the costs of a panel of arbitrators? Will you have to travel to the location of your landlord’s corporate headquarters in order to pursue a claim? These are important questions that should not be overlooked. If you are preparing to enter into a commercial lease in Wausau, our attorneys can help you make informed decisions and negotiate appropriate protections for your business. To learn more in a confidential consultation, please call (715) 842-2291 or inquire online today.